8 Glebe Close is a delightful property situated just off the water lanes in a quiet clos just a short distance from town and all its amenities. Having recently benefited from a new kitchen and decoration throughout, this three double bedroom house is a super family home. Outside is a low maintenance sunny courtyard, ideal for barbecue’s and entertaining, a single garage and parking. 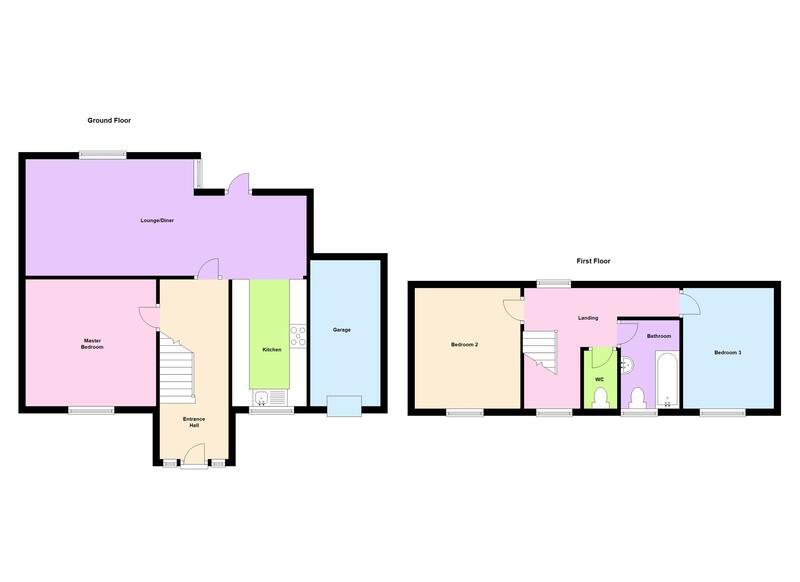 Accommodation comprises of a light and airy lounge/diner, a kitchen, three bedrooms with one including en-suite shower, a family bathroom, a rear patio/garden, two sheds and a greenhouse. Contact Cranfords today to book your viewing on 243878! 22'5'' x 11'2''. French Windows and single door leading to garden. Radiator. Coving electric feature firelace. 10'11 x 5'9''. Window to front. Fitted with a range of wooden base and wall units with granite-effect worksurfaces over, incorporating 1 and half bowl black sink and drainer unit. Appliances include gas Rangemaster professional double oven with five gas ring’s and extractor above, and Neff dishwasher. Decked and paved patio area bounded by fruit and flowering bushes and shrubs. There are one small garden shed 6’x4’ and a greenhouse 6’x6’. The back of the property is enclosed with wooden fencing and to both sides. Paved area continues around to a side gate giving access to the front. Gravelled area with parking for two to three cars. Mains electricity, water and drainage. Electric underfloor heating.